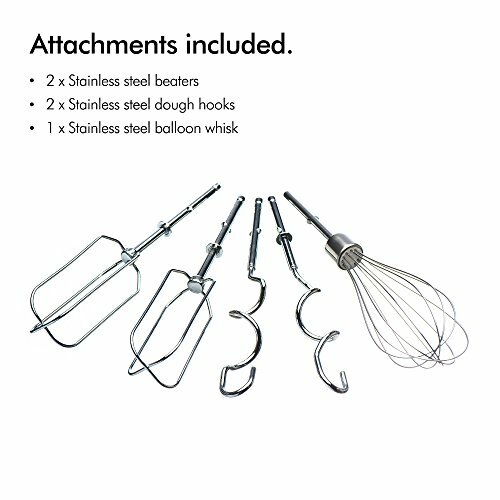 STAINLESS STEEL ATTACHMENTS: Includes - 2x Beaters, 2x Dough Hooks and a Balloon Whisk. 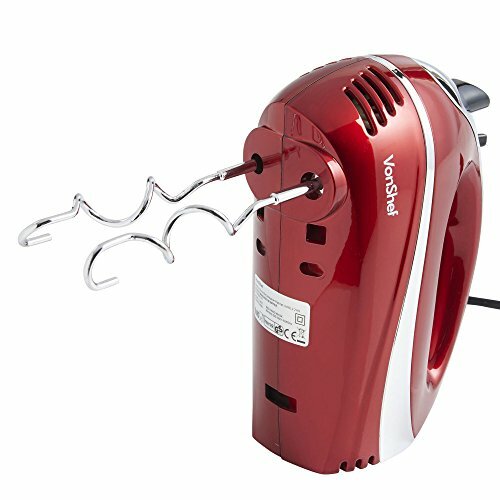 The durable stainless steel dough hooks make mixing dough and heavier cake mixes easy. The stainless steel beaters are perfect for whisking egg whites, creaming ingredients and for light cake mixtures or batters. 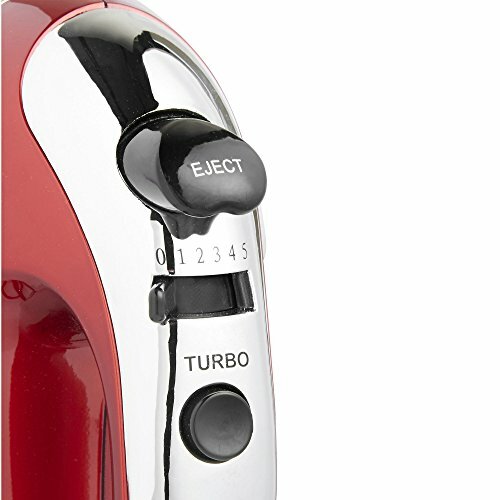 5 SPEED SETTING AND TURBO BOOST: 5 Different Speed Settings, Turbo Function and Ejection Button. The improved speed settings are all thumb operated, meaning the device is easy and convenient to use. 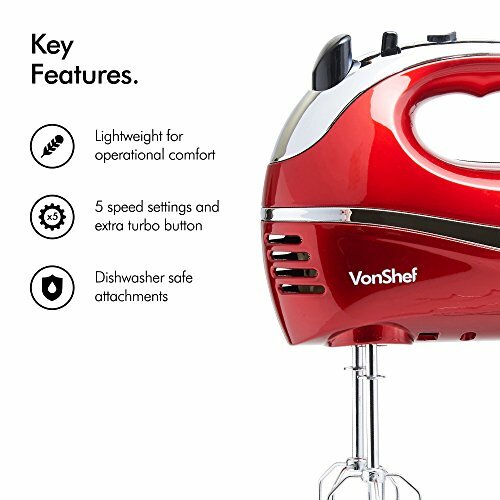 LIGHTWEIGHT & EASY USE: The VonShef Hand Whisk also benefits from a compact and light weight design that allows you transport it easily. 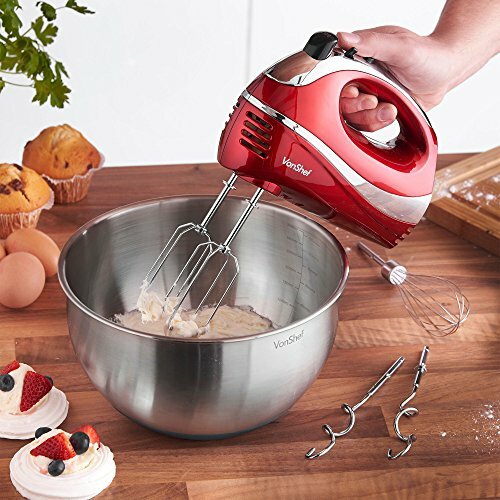 All of the accessories included with the hand mixer are all dishwasher safe and easy to clean, leaving you more time to bake and less time scrubbing. STYLISH DESIGN: Stylish and Sleek in a Robust Silver and Red Design. Dimensions - 7.2 x 4.3 x 3 inches (approx.). Cable length - 5 feet.